AMD has introduced a new limited edition bundle known as ‘Ryzen Max’ which will bundle a Ryzen 5 or Ryzen 7 processor with the new Wraith Max cooler. The bundle being a limited edition will be offered till the Holiday season lasts and it’s a great choice for users who or planning to build new gaming setups. The bundle is being offered with two processors, the AMD Ryzen 7 2700 and Ryzen 5 2600X. 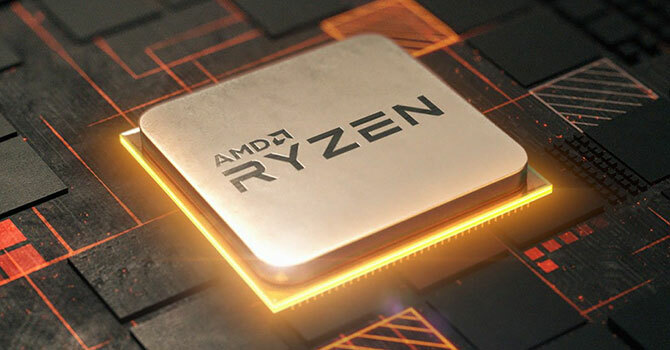 Both CPUs, especially the Ryzen 5 2600X is a really solid mainstream processor options, offering 6 cores and 12 threads at a sweet price point. What makes it even better is the Wraith Max cooler which is stated to offer around 200 Watts of cooling performance. AMD states that with the Wraith Max cooler, users will be able to get out-of-box advantages of XFR2 (Extended Frequency Range V2.0) or just plain old manual overclocking. The Wraith Max cooler itself is a really solid design, offering great thermal performance with a mix of RGB LEDs which you can always disable if you’re not into it. It’s a simplistic design that works great and looks great too. AMD also has their current generation Ryzen 2000 series processors bundled with Wraith Spire coolers but obviously, the Max is one of the better deals if you are into overclocking. Individually, the Wraith Max alone costs around $60 US but with the bundle you get both the cooler and CPU. The bundle will be available worldwide through AMD partners and as mentioned before, be a limited offering for the holiday season. Will you be getting or recommending someone the new AMD Ryzen Max bundle? Yes, Sounds like a good deal. No, Will get my own CPU cooler.